The familiar shout of "Order, order!" explains part of the Speaker's job in Parliament. They are in charge of keeping order during debates, and calling different MPs to take their turns speaking on various issues. What powers does the Speaker have? The Speaker is the highest authority in the House of Commons and has the power to ensure MPs follow the rules, including asking them to be quiet while others are speaking, directing a member to withdraw remarks if they are deemed to be abusive, and suspending the sitting of the House if there is judged to be serious disorder. An MP can be suspended if they are felt to have been deliberately disobedient. How is the Speaker elected? The current speaker was elected in 2009, using an exhaustive secret ballot system. MPs marked an X next to the candidate of their choice on a list. 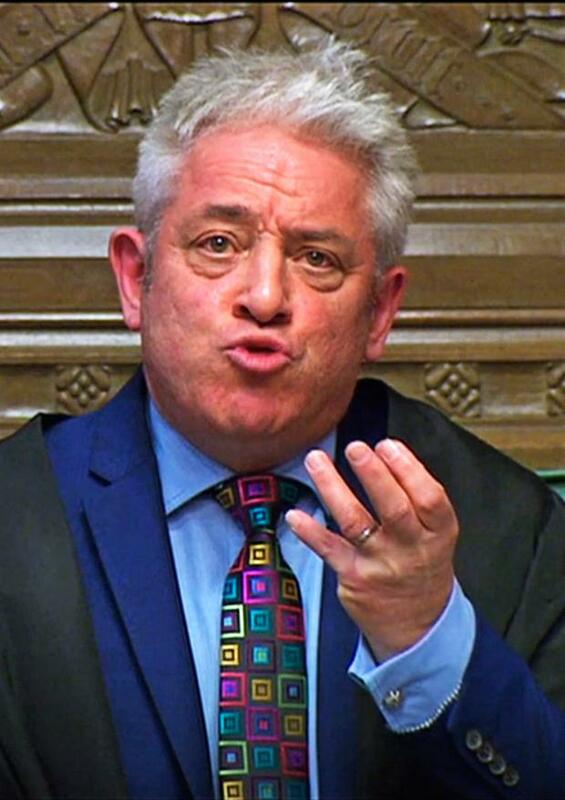 John Bercow got 322 of the 593 ballots cast, at which point the question proposing the successful candidate as Speaker was put before the House and he took the chair. How has the current Speaker enforced the rules most recently? Mr Bercow cited the Commons rulebook Erskine May - the authoritative book on parliamentary law and practice - as he set out a convention dating back to 1604 that a defeated motion cannot be brought back in the same form during the course of a parliamentary session. Finally... how have the media reacted to Bercow's ruling over the vote? 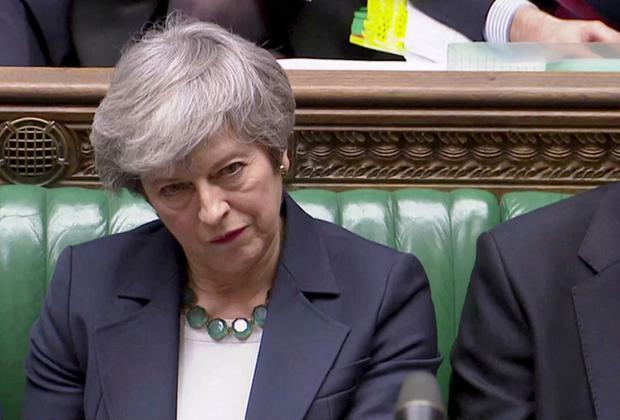 John Bercow comes under close scrutiny in the national newspapers as they give their views on his ruling over another vote on Theresa May's Brexit deal. The Daily Mail leads the criticism of Mr Bercow, branding his decision an "act of sabotage". "Although he claims his decision is based on 'strong and longstanding convention', several constitutional experts - including ex-Commons clerk Sir David Natzler and former Parliamentary Counsel Sir Stephen Laws - say it is wrong in principle as well as in spirit," the paper writes. "They say he is wrong to obstruct the vital business of government in this way and wrong to frustrate the House in its search for compromise." The Daily Express takes a similarly firm stance, running with the headline "The Brexit Destroyer" on its front page. In its leader, the paper says Mr Bercow's ruling was a "wholly unwelcome surprise". 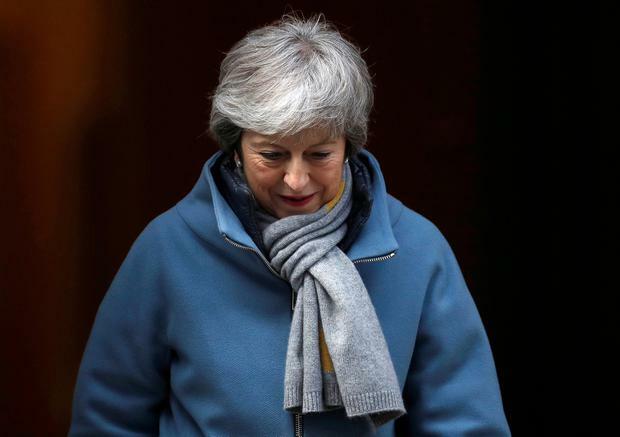 "Although Bercow's ambush will please certain No Deal advocates and other enemies of Theresa May, it has rightfully caused anger in Westminster and across the country, frustrating a plan that was starting to hold," it says. "Mrs May will now likely seek an extension from the EU, but Bercow's political vanity has sent a wrecking ball crashing into the most important political process in decades." The Sun also criticises Mr Bercow for the ruling, and says a third vote is "arguably in the public interest". "Our entire future is in the balance," it warns. Meanwhile, The Times says the Government's Brexit strategy was further blown apart by Mr Bercow's announcement. But that strategy appeared to have "run out of road" even before his intervention, it adds. 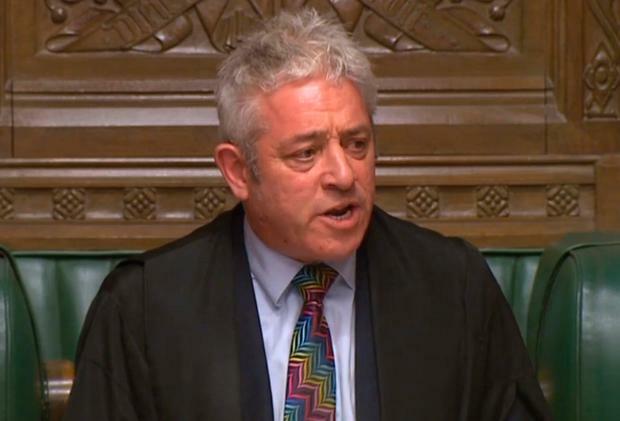 It suggests Mr Bercow had "succeeded in doing something that has until now proved impossible: he has managed to unite both sides of the Brexit divide". "Brexiteers cheered his ruling because they believe he has breathed new life into the possibility of no deal... Pro-Europeans, on the other hand, are delighted because they believe that the prime minister will have to seek a long extension to Article 50," it says. The paper's leader adds: "The best option is for parliament to back Mrs May's deal in a vote next week. "The question is whether both sides can come up with something that would meet Mr Bercow's definition of substantive change, allowing a fresh vote to take place. Time is impossibly short. The stakes could not be higher." "More drama lies ahead", warns the Daily Telegraph, as it says Mr Bercow's intervention gave the Brexit plot "yet another twist". "As things stand, though, Mrs May's deal is effectively dead and the UK is leaving the EU next week," it adds.